As a science teacher, I am in constant need of a graphic organizer that allows my students to compare and contrast pairs of science terms. For example, what are the similarities and differences between mitosis and meiosis? Or photosynthesis and cellular respiration? Or carbohydrates and proteins? 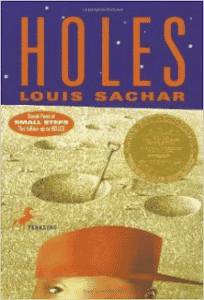 I developed this document as a study tool for my students, and I use it in almost every unit I teach. 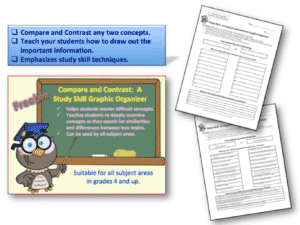 This one-page freebie provides a graphic organizer for organizing information and can be used in any subject area and in almost every grade level. 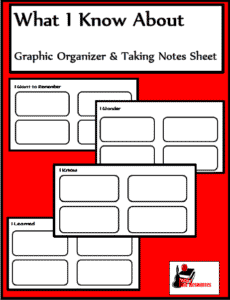 Click here to download this free graphic organizer. 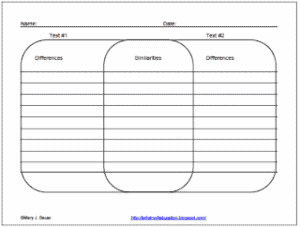 For more information on this free teaching tool, visit my blog, AmyBrownScience.com. « Cook Up a Story!